The historic and wonderful streets of Nottingham are riddled with little walkways and alleys. As you walk through the busy Market Square or down Clumber street it’s easy to forget about the hidden pleasures you’ll find if you really look close enough in Nottingham. There are bars tucked in nooks and restaurants tucked in cranny’s, there are some under the ground and some up the alleys, but they’ve all got one thing in common – their utter quirkiness. Nottingham is one of the few cities to have caves. The fascinating underground dwellings have served the people of Nottingham well over the decades. In the Victorian times, the poorer people with no homes took refuge in the caves as slums, and in WWII many people went down seeking safety in the caves, using them as air raid shelters. Located down a side street at 7.5 Carlton Street, Lost Property Nottingham is opposite the alleyway where the entrance of Hockley Arts Club is found. Lost Property Nottingham is owned by Curious Venues which owns some of the best cocktail bars in Nottingham (think Curious Manor and Curious Townhouse). 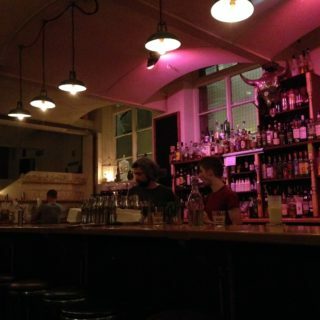 Once you do make it inside you’ll find a bar, part speakeasy, partly lost property office. Decorated with parrots, glitter balls, more than 1,000 keys, 150 lost suitcases, a countertop bar made out of pennies and VIP bathroom. It is the second phase of the Curious Tavern project, which is located within the 200-year-old Mercure Hotel. The Malt Cross is one of the most impressive bars in Nottingham. Serving up real ales, spirits, wines, champagne and food, this bar and music room has its own secret passage. The caves of Nottingham sit below many places in town, and now you can go and enjoy a gin and have a wine tasting experience in them with The Malt Cross! Hidden just across from The Barrel Drop and Cucamaras (mentioned next) this bar is quirky and unique in it’s own way. It’s Nottingham’s first and only dedicated Mezcaleria & Tequila den! The menu is vast and prices are low & they even treat customers to a hearty Happy Hour from 5 until 8pm. There’s a small outdoor seating area and it’s a fantastic sun trap. Hurt’s Yard seems to be the place to be for drinks in Nottingham! 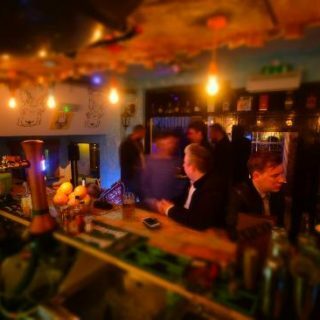 This lively yet lovely bar just off Hurts Yard is a guilty pleasure for anyone who wants some loud music, cheap drink and a dance! Their offers on bombs, cocktails and shots are wide and on Saturday nights its busy, to say the least. City of Caves is a secret passageway in it’s self. The visitor attraction in Nottingham consists of a network of caves, carved out of sandstone that has been variously used over the years as a tannery, public house cellars, and as an air raid shelter. The city of Nottingham has hundreds of man-made caves, which have been in use for over a thousand years. Now, you can visit them yourself, and travel down tot eh museum the learn all about the history of Nottingham itself. This one had to be on the list. Hidden away behind the bustling backstreets of independent Hockley lies an impossibly beautiful building that houses the Hockley Arts Club, it’s a creative space for social eating and drinking. Commonly known as ‘Stockholm’ the ground floor is an independent bar in its own right. Open right through ’til 3am & serving the full selection of cocktails, wines & beer, this mid-century Scandinavian inspired space has all the hustle & bustle of a good old fashioned local pub, with plenty of relaxed seating & even space to dance when the lights go down. Aptly named the Blue Rooms, the middle floor is open all day, every day from midday ’til late. 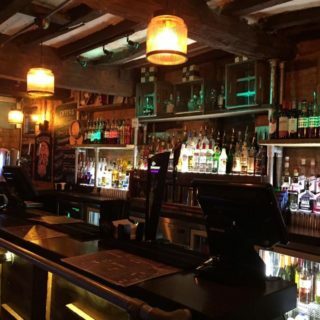 With full table service for both food & drink across a host of intimate tables, large leather clad private booths & comfy sofas, its the heartbeat of the Hockley hideaway. This one is a favourite. The Boilermaker, located on one of Nottingham busiest streets, Hockley, is at first glance just a boiler showroom or repair room, but once you get closer, you’ll recognise a bouncer standing at the door. 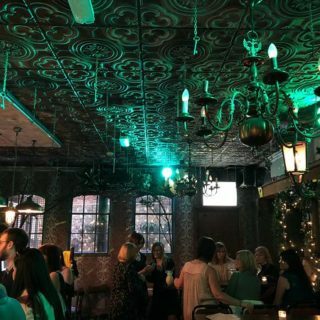 This marvellous underground bar is for gin and cocktails with groups and friends. 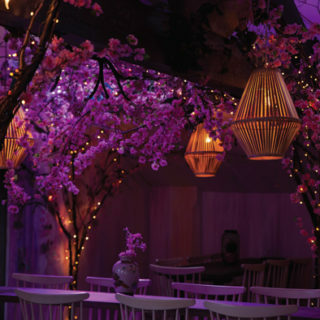 The interior is subtle and calming, a perfect place for a relaxing, private drink. The Barrel Drop is a lovely little micropub located down a narrow alleyway leading from Upper Parliment Street down to Angel Row. 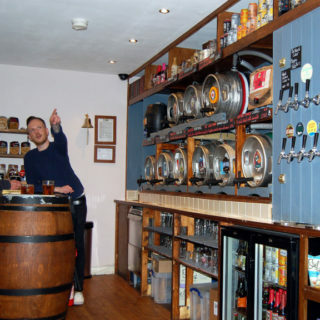 They take pride in serving many different ales and beers, along with the decision between some vegan beers! Many people don’t even realise when they walk past hurts yard, but it’s full of surprises like this pub. A mysterious and secret garden has arrived just off Trinity Walk. There is a Fully stocked Al Fresco bar, that sits in a unique sun trap in Nottingham city centre. 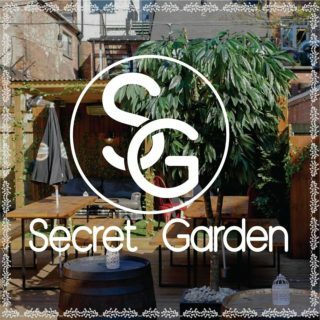 Welcoming all members of the public to this new secret garden, there are outdoor heaters, free BBQ events, happy hours and speciality cocktails. Don’t miss it! 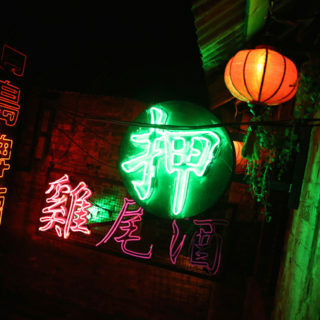 From the outside, Coco Tang looks like a small exotic coffee shop, but when you go inside and have a look around, the Vietnamese style garden and bar is something out of a movie. 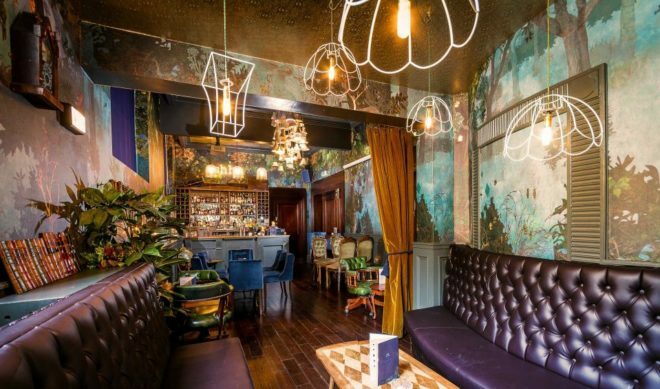 The casual shared seating area and indoor tropical trees in traditional Vietnamese Planters – all exported from Ho Chi Minh City look fantastic with the 1950s reclaimed encaustic tiles, which were found on the pavement from a house demolition! They serve speciality coffee which is roasted instore, with a fancy brew bar and stunning bakery. A slim doorway leads downstairs to an underground bar. Hidden away behind an old-style Hong Kong alley. A full-on cocktail bar with club-style ambience. Since November 2008, they have been serving cocktails in the 1000s, week after week, dedicated to sustaining the high standards, innovations & customer service we’ve become known for. 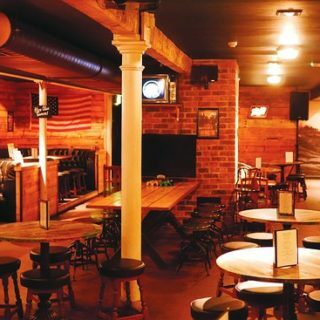 Annie’s Ocean State Tavern bar is one of Nottingham’s best-hidden gems! Just downstairs from The Burger Shack, you will find a little bit of waterside Rhode Island right here in our fair city. Join in on Annies Quiz, every Tuesday from 7pm. At the Tavern Bar, there are games to play, including classic Nintendo and board games. This bookshop is beautifully hidden in the bustling city just behind Primark. 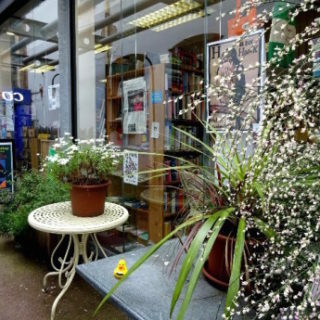 You’d never expect such a tranquil independent bookshop in the centre of town but there it is, striving and wonderful. It’s one of the few independents to open in any UK city centre this century and specialises in Cityscape and Landscape, Politics, Fiction and Poetry, Lesbian and Gay, Counterculture, International writing, and Magazines and Journals. If you love a good read, or just want to get into reading, you need to go down and see for your self. Broadway cinema is a difficult one to find if you’re a ‘first-timer’. It’s located just around the corner from busy Hockley and looks small on the outside, but inside it’s a wonderful independent business thriving with talent, entertainment and good coffee. 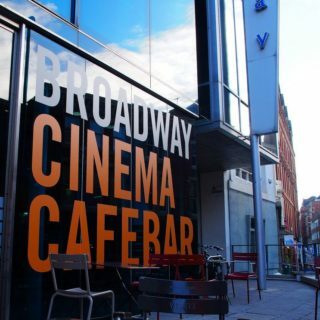 It’s not just a regular cinema, there are also documentary viewings, educational viewings, one-off viewings of performances and films from the past, and a nice cafe bar – which always helps. This pub is claimed to be one of the oldest pubs in the country. 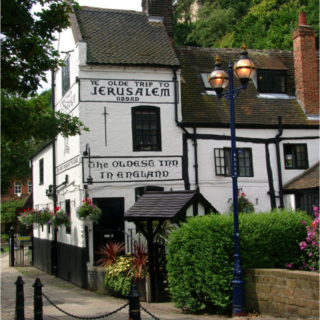 The Ye Olde Trip to Jerusalem leans upon the castle rocks and has a perfect Victorian look. If you’re looking for somewhere in Nottingham to have a pint with a bit of history attached, here’s your place. Although it’s not necessarily hidden, its the only pub in the UK like it and inside it’s as if you’ve time travelled back 200 years! 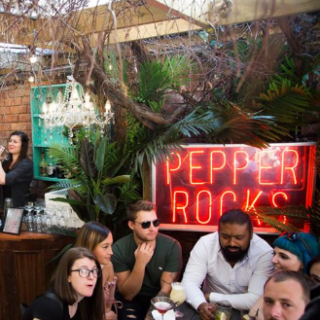 Pepper Rocks is a wonderful little cocktail bar tucked away on Bridlesmith Street. 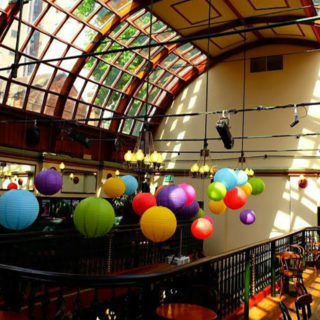 They host speed dating events, open mic nights and have a Happ Hour on until 10pm every night – a perfect place for pre-drinking on the weekends, or just a chilled one during the week. Their vintage decor and rustic look is inviting and makes you feel at home. The terrace is a bright colourful and exotic suntrap and the hotdogs are insane. It had to have a place on the list.